Ariel, Shayla and their daughters, Anayah and Amalyah. 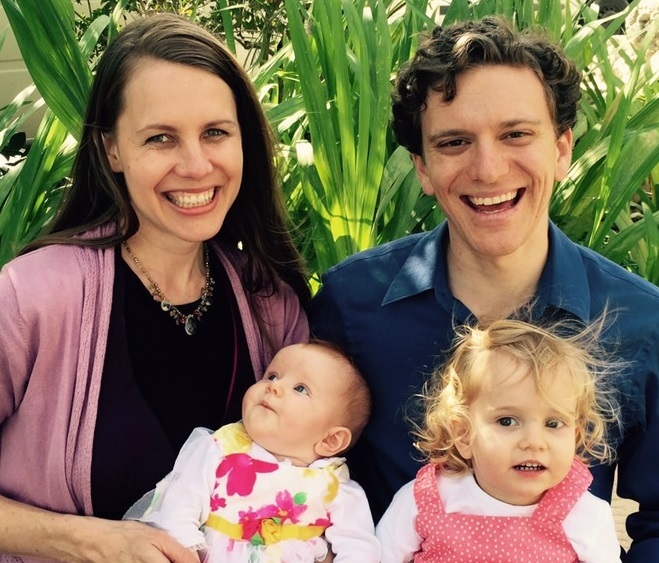 Ariel and Shayla come from backgrounds rich in ministry experience, having served the Lord with their families in the U.S., Germany, Thailand, and Israel. 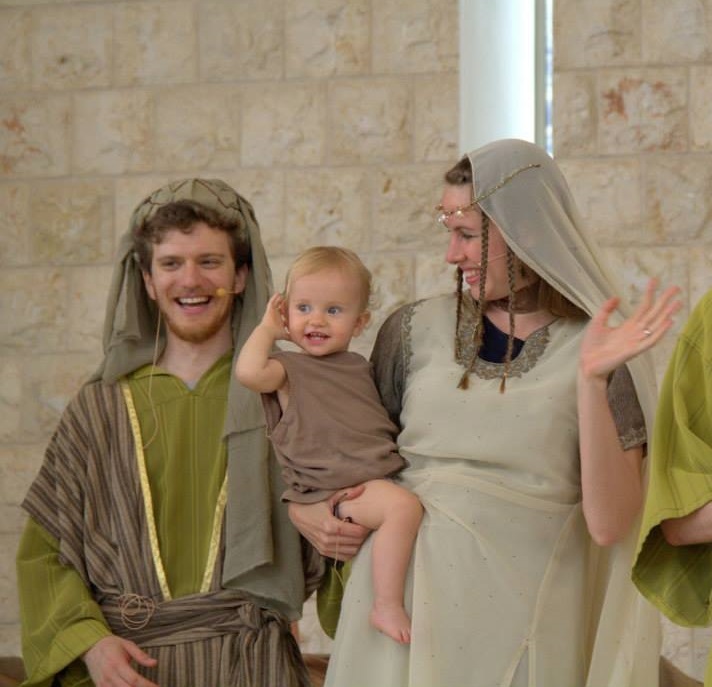 Today, they are serving in full-time ministry in Haifa, Israel as part of Tree of Life (www.TreeofLifeIsrael.org), and are actively part of Carmel and Kerem El Messianic congregations. Ariel, a graduate of Wheaton College (Wheaton, IL), served in the Israel Defense Forces, representing Israel to international organizations and embassies. The Lord has opened up doors for him to share the Gospel with Jewish people online through websites and videos, on the streets of Israel, and at special outreach events. He leads an evangelistic media team, and also teaches evangelism seminars to equip and inspire Israeli believers to share the Gospel more often and effectively. Shayla completed a bachelor’s degree in Music Education at Southeastern University (Lakeland, FL), while being mentored for three years in Collegiate Master’s Corps, an intensive ministry training program. She has taught music, led worship and served in ministry to children in the U.S., Thailand, and Israel. What times is Israel living right now concerning the Word of God and concerning the Second Coming of the Lord Jesus Christ? We believe we’re in more exciting times now that any other time in history. Why? We are witnessing the miraculous fulfillment of many prophecies concerning Israel and the Jewish people that are all preparing the way for the return of Jesus. God promised over 60 times in the Tanakh (Hebrew Bible) that He would scatter the Jewish people all around the world, but ultimately bring them back to the land of Israel (see for example Ezekiel 11:17, Jeremiah 32:37-41), and we have seen and are seeing this fulfilled in our day. He said the nation of Israel would be reborn in a day (Isaiah 66:7-8), and it happened. He said the land would be desolate and a desert until the Jewish people returned, and then it would blossom (Ezekiel 6:14; Ezekiel 36; Isaiah 35:1) – and that’s exactly what happened. He said the nations around Israel would seek to destroy them once they returned, but that He would supernaturally deliver them (Micah 4:11-13). Again, this happened in the wars in 1948 and 1967 and others – where Israel was outnumbered, out-armed, and out-trained and yet somehow still won. There are many other prophecies about Israel and the end times that have been fulfilled in our day. Ariel actually wrote a booklet together with his father about how God has miraculously fulfilled His promises to the Jewish people, called “Supernatural or just Remarkable?” It can be found here: http://www.treeoflifeisrael.org/supernatural-or-just-remarkable/. It’s proven to be an effective outreach tool to many secular Jewish people who don’t believe in God, showing them God’s faithfulness and love and showing them that the Bible is indeed inspired. It’s also been a great encouragement to Christians, who can see how God has been faithful to His promises to Israel and therefore will be faithful to His promises to all of us! Isn´t Israel the chosen land /people of God? In your experience, how receptive are currently Jews to the Gospel of Jesus Christ? Is there any difference between younger and older generations? Yes, Israel and the Jewish people are God’s chosen land and people. But the Scriptures tell us that God actually blinded the eyes of many Jewish people so that they wouldn’t recognize their own Messiah (Romans 11:7-8). But the result is that the Gospel ended up going to the rest of the world (Romans 11:11-12). Paul says that once the Jewish people turn to Jesus, it will bring “greater riches” to the rest of the world (Romans 11:12) and will even be as “life from the dead” (Romans 11:15). In fact, this is another crucial prophecy concerning Israel and Jesus’ return. Jesus said that He would not return to Jerusalem until the Jewish people welcome Him in the name of the Lord (Matthew 23:37-39). And what’s exciting to see is that there is now an incredibly rapid increase in how receptive Jewish people in Israel are to the Gospel. There were only a handful of Messianic congregations (of Jews who believe in Jesus) in Israel 30 years ago, but today there are around 200. Ariel, Shayla, and daughter Anayah playing Boaz, Ruth, and Obed in an outreach event with 120 non-believing Jewish people present. At outreach events in the past, if we could get 5-10 non-believing Jewish people to attend, it was great. But over the last year or so, we’ve had several events where 120 and even 150 non-believing Jewish people attended and we had the privilege of sharing the Gospel with them and seeing many turn to Jesus. This was totally unprecedented a few years ago. The younger generation is definitely more open as a whole to the Gospel than the older generation, but God is softening the hearts of many older people as well. God said that once the Jewish people would return to Israel, He would remove their heart of stone and give them a heart of flesh and pour out His Spirit on them (Ezekiel 36:24-28), and that is exactly what we’re seeing happening today. What does it exactly mean when the Scripture says “All Israel will be saved…” (Romans 11:26)? Will all Jews eventually accept Jesus as their Messiah? What about previous generations? This is one of many glorious promises of a national revival in Israel at the end of days – it is our goal and our vision! This can’t possibly include all previous generations, because many have died in rebellion against God and/or against Jesus (think of Judas Iscariot, for example). However, God has been merciful and opened the eyes of quite a few Jewish people throughout history to receive Jesus as their Messiah even on their deathbed. But now He is opening their eyes to “look upon Me whom their pierced” (Zechariah 12:10), mourn in repentance, and live for Him the rest of their lives. This revival will turn the whole Israeli society around, and Israel will fulfill their calling, “For the law will go forth from Zion and the word of the LORD from Jerusalem” (Isaiah 2:3). It will be as “life from the dead” for the rest of the world (Romans 11:15). We share the Gospel in lots of different ways in Israel – from outreach events at the holidays to sharing on the streets to media evangelism. We have a Hebrew evangelistic website that has testimonies of Israeli believers sharing how they met their Messiah. We’ve also been going out on the streets and interviewing Israelis about different topics, sharing the Gospel with them, and making videos out of the interviews. 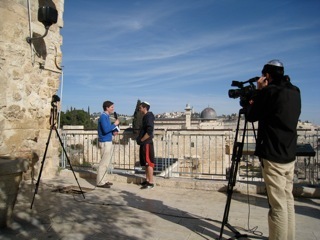 Ariel interviews Israelis on the street, sharing the Gospel with them and making videos out of the interviews. Our most recent video about was Isaiah 53, “The Forbidden Chapter.” This chapter, which is a powerful prophecy about the Messiah fulfilled by Jesus, was removed from the weekly readings in the synagogues, and so most Jewish people have never read it before. So we read this chapter with Israelis on the street, and had some incredible responses both on the street and from the people who have watched the video. We’ve now had over 1.4 million views and thousands of Israelis writing in about it! Boris, an immigrant from Belarus, wrote us after going through a state of confusion about the claims of the rabbis and of Jesus. After watching our video and talking with us, he said, “I definitely believe that Jesus is the Messiah.” We’re helping him connect with other believers who can disciple him. We’ve had in-depth conversations with quite a few interested Israelis. Many others have asked to meet with us in person or on the phone. A number of them have ordered the New Testament or other evangelistic materials. Praise God for this great harvest!